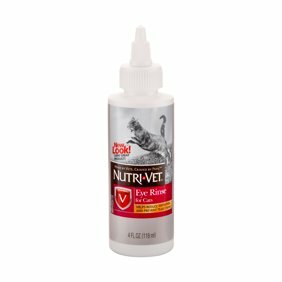 Nutri-Vet Eye Rinse Liquid, 4 oz. Note: Eyelid lift Kits include our Eye Magic eye lift emollient gel, which is recommended for new users. Bring back your beautiful eyes! The New Eye Magic Premium Eyelid Lift instantly opens your eyes for a more youthful look. Eyelid drooping is a common issue among men and women. With time, upper eyelids start to sag as muscles lose their elasticity. This is called Ptosis. Eyelid droop makes your eyes look old and tired. Eyelid surgery is expensive and comes with a long recovery period. Introducing Eye Magic Premium Eye Lift for droopy, sagging, or hooded upper eyelids. Our eye lift strips act like a new layer of skin, lifting the upper eyelid for a more youthful look. Designed for western looking eyelids. Shapes and defines your eyes - Takes years off your appearance. This is the best anti-aging product, with instant results! New! Instantly Lifts Droopy, Sagging, Or Hooded Upper Eyelids. Look Younger Instantly! Advanced Clear Film With A Smooth Upper Arch Designed For Western Eyelids. Blends With Most Skin Tones. The Best Anti-Aging Product, With Instant Results! Takes Years Off Your Appearance. Made in America - Lab tested for safe use - Original Inventors, US Patent, Sold Direct From The Manufacturer. Bring Back Your Beautiful Eyes! Our New Eye Magic Premium Eyelid Lift Instantly Opens Your Eyes For A More Youthful Look. Stop Use Indications: Contact your doctor if you have a medical eye condition prior to using. Instructions: Follow the included instructions carefully and take your time. New users should first apply our eye lift emollient gel to the adhesive side of the strip.